Australia’s war on illicit drugs isn’t working, but why? The answer is simple, some of the greatest risks from using illicit substances are because they are illegal. 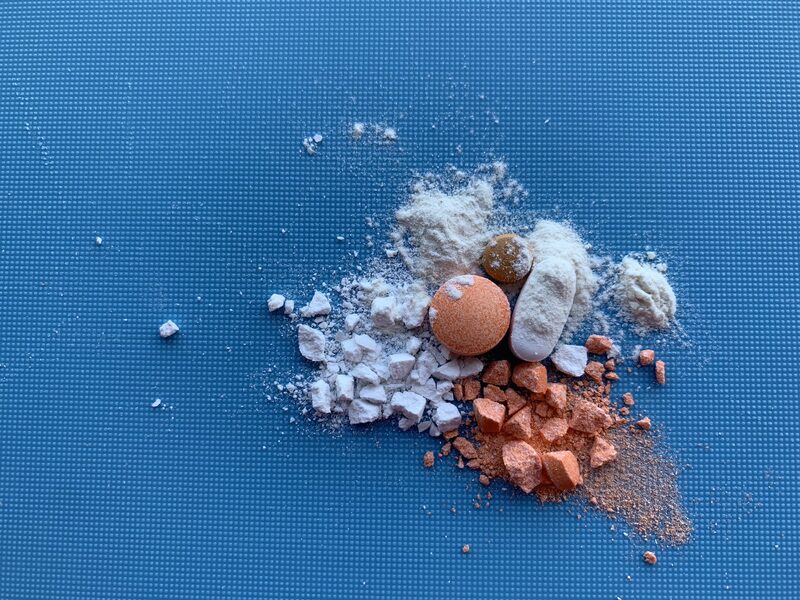 There has been a rapid growth in the availability of new and emerging psychoactive substances (NPS) on the Australian market, warranting ongoing monitoring and investigation. One of the most commonly used psychoactive drugs is MDMA or ecstasy. Since MDMA was first discovered to be available on the Australian illegal drug market, authorities and the media have provided the public with sensationalised and deceptive information about the drug, and users have been stigmatised. Thousands of people are estimated to use the illegal drug, every week as a result of its propensity to cause feelings of extreme euphoria, empathy, intimacy, and reduced anxiety. Tyler, who would like to keep his last name private, admits to using MDMA. However, the unregulated process of manufacturing drugs in backyard labs leaves users unsure of the ingredients, purity or potency, increasing the risk of adverse reactions. “I mean I think MDMA is safer than other drugs, but you have to know your body and your tolerance.” Says Tyler. Former Queensland senior sergeant, Rebecca O’Donnell, says there is a strong culture surrounding MDMA and youth. Alcohol is a highly regulated drug, on the other hand, pill testing is the only way to effectively gauge the potency of illicit drugs and what’s in them. As a result, the Australian government has been urged to look toward harm minimisation to help solve the number of MDMA related incidents. Since 2014, arguments have been made in support for pill testing and 2018 saw Australia’s first official pill testing trial take place at the Groovin’ the Moo Music festival. The report on its findings showed some 84% of people who had their pills tested thought they had bought MDMA but only 51% actually contained any MDMA. Tyler says he does not pill test, rather relies upon the taste, smell and colour to ensure quality. One of the more dangerous contaminants found in pills include PMA (paramethoxyamphetamine), which is a dangerous compound and far more toxic at lower doses than ecstasy. Huge risks are associated with the contamination of pure MDMA with PMA, including high rates of morbidity and mortality, with little psychoactive positives to justify the downsides. The vast majority of those choosing to use MDMA are not intentionally buying and taking PMA, rather it’s believed that precursor to the synthesis of PMA is easier to acquire than a precursor to MDMA. While there are certainly no plans to legalise the drug, regulation of its production and sale through pharmacies would allow users to access a pure dose of the drug with risk management advisory discussions, particularly for people being treated for a psychiatric illness or heart problem. Tyler believes there are arguments for both ends of the spectrum. In 2010 a study by Britain’s Independent Scientific Committee on Drugs ranked MDMA 17th, behind tobacco at 6th and alcohol at 1st – on a list of 20 drugs according to the harm they caused. Long-term problems are rare, as less than 1% of all drug treatment presentations are for ongoing issues with MDMA, like dependence. However Owen Law, a team leader for the Australian Federal Police, says while dependence may not be a huge problem, resistance to the drug is. Gary Christian, secretary of Drug Free Australia says the existing evidence from medical literature indicates that overdose from MDMA is rare, and that Coroners’ reports listing overdose are more likely the result of combined MDMA/poly drug use toxicity rather than overdose. Ms O’Donnell agrees saying the vast majority of harm comes from the lack of education around the use of the drug. Mr Law agrees, saying due to the broad spectrum of users who engage in its use, a variety of strategies are required. However, one MDMA user, who wishes to remain anonymous says despite enjoying the drug, he doesn’t believe legalisation is the answer. One country sought a radical approach to their rising drug problem, and it worked. In 2001, Portugal became the first country to decriminalise the possession and consumption of illicit substances. Instead of being arrested, individuals found to be in possession of illegal drugs were given a warning or a small fine, perhaps suggested to see a doctor, or social worker about treatment, harm reduction and available support services. Soon, the countries opioid epidemic stabilised, and drops in dangerous drug use, related illness, and drug related crime were noticeable. Though the change in law has largely been attributed to the positive results, it could not have been achieved without the cultural shift and change in the societal perception of drugs. There are many preventable deaths from MDMA in Australia due to it only being available on the black market. We know that it’s impossible to keep people away from intoxicants, legal or not, yet we continue to judge those who favour an illicit substance. The idea of legalising drugs is enough to send the majority of society into moral panic, but one thing has become clear, despite the war on drugs, Australian’s will continue to say yes. “You can throw all the evidence you want at politicians, but it has very little effect,” says Matt Noffs, who sees an incessant flow of drug users in his work as CEO of Australia’s largest drug and alcohol treatment service provider for young people, the Noffs Foundation. ‹ Where are all the women in STEMM?